Is marriage really the church’s business? There’s no doubt marriage is messy and comes with plenty of baggage. But is a couple’s marriage really anyone’s business but their own? Of course. Marriage doesn’t affect just a husband and wife. It affects their kids, their community, even the health of the church—your church. When marriages are strong, attendance, tithing, volunteerism, even the quality of worship tends to go up. When marriages are weak, the opposite usually happens. 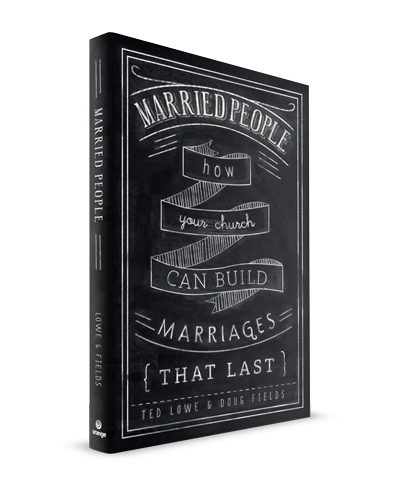 In Married People: How Your Church Can Build Marriages that Last, Ted Lowe and Doug Fields show how the church is uniquely positioned, despite being overcommitted in time and resources, to be in the “business” of building marriages. For every ministry leader (pastor, age group minister, family minister, even the dedicated volunteer) this book offers a vision and a step-by-step strategy for empowering marriages and strengthening the church in the process.